Established in 1969, Gilt Edge Industries Ltd specialises in supplying an extensive range of flooring preparation and installation accessory products to New Zealand Flooring and Construction sectors. With a comprehensive New Zealand wide distribution of networks comprising eight trade depots/storage facilities Gilt Edge Industries Ltd has a significant and expanding distribution footprint throughout New Zealand from which it stocks an extensive range of premium quality flooring adhesives, concrete moisture control products, engineered levelling cement, transition trims and stair nosings, underlayments and associated products. 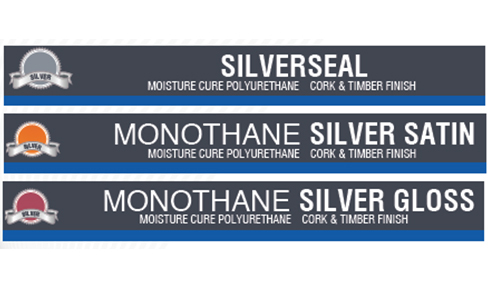 Gilt Edge Industries Ltd also stock and sell a range of timber coatings products and are pleased to be adding the Urethane Coatings - Monothane Silver Range to their stable of Timber Floor Coatings. Excellent flow & self levelling. Suitable for all timber species. With the experience and knowledge of Timber Coatings' Product Manager - Joe Holgate, Gilt Edge Industries Ltd are well served to provide the flooring industry with the the right products for all Timber coating projects throughout New Zealand. I would like to enquire about Era Polymers Pty Ltd.